A dreamy earrings! You'll want to wear them every day. 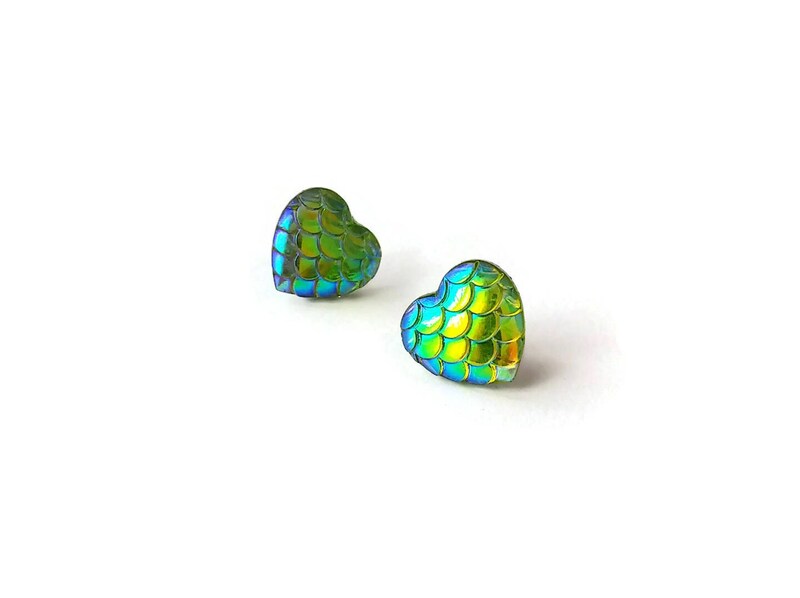 Very fashionable with this mermaid fish /dragon scale heart cabochon. Resin cabochon 12mm (about 1/2").